BANGALORE: High-resolution close circuit television (CCTV) cameras and online delivery of question papers could be used in state medical examination halls to catch cheats and prevent invigilators from helping students in writing papers. The medical education department is planning to try this out at some exam centers on the recommendations of committees which probed the recent malpractices unearthed in nursing and post-graduate exams. Medical education minister S A Ramadas on Monday said cheats are using hi-tech methods and invigilators themselves fear more complaints from students. “Some schools and colleges already use CCTVs to monitor teaching and students’ behaviour. If a examinee knows CCTV cameras are around, it acts as a deterrent __ like speeding motorists tend to slow down if there’s a camera on a main road,” he added. The committees, which were constituted following media reports of malpractices and a raid by the minister himself, also recommended that CCTVs be switched on from the time of giving question-and-answer sheets to students till they are sealed in the security box by invigilators. On receiving the award, Mr. Anand Jain, Partner, enterprise Software Solutions lab (eSSL) said, “It’s a wonderful moment for all of us at eSSL. We are delighted to receive the Frost & Sullivan Market Leadership Award in the Indian Biometric Market for the second time in a row*. We take this opportunity to thank all our customers for their continued support and for entrusting eSSL with opportunities to provide them with the worlds best Biometric and RFID-based solutions, which cater to HR attendance and access control needs. eSSL is committed to increasing customers’ performance by enhancing our portfolio to provide integrated and robust solutions. We also thank Frost & Sullivan for felicitating us with this award, which is an inspiration to companies to perfom better. The performance of different market participants in the Biometrics market were evaluated through primary research. The key officials within each company were interviewed to assess their relative position within the given market. The data thus obtained was subjected to intense analysis to narrow down on the award recipient. Niju V, Deputy Director, Automation & Electronics Practice, Frost & Sullivan, South Asia and Middle East, said, “The biometrics market is dominated by large players and despite this concentration, eSSL has been able to carve out a niche for itself. The company has captured a significant share of the market by offering customized solutions. eSSL’s offering of value based pricing has been well appreciated by the customers and has become the cornerstone of its success in the biometrics market. The exciting part of eSSL’s focus on this market is its continuing investment in R&D activities, ensuring that this leadership position is sustainable in over the long-term”. Frost & Sullivan, the Growth Partnership Company, enables clients to accelerate growth and achieve best-in-class positions in growth, innovation, and leadership. The company’s Growth Partnership Service provides the CEO and the CEO’s Growth Team with disciplined research and best-practice models to drive the generation, evaluation, and implementation of powerful growth strategies. Frost & Sullivan leverages 50 years of experience in partnering with Global 1000 companies, emerging businesses, and the investment community from more than 40 offices across six continents. To join our Growth Partnership, please visit http://www.frost.com. enterprise Software Solutions Lab (essl – http://www.esslindia.com) is headquartered in India’s leading software center, Bangalore – the location chosen by several leading multinational firms. Today, eSSL is a well-reputed software development company with excellent track record and several years of industry experience.We are recognized IT experts in the selected application domains and make every effort to advance our skills. As an industrial software laboratory, our key focus is to work closely with every business from large to small corporations and govt. based cooperatives worldwide in our efforts to bring responsibly produced products and services to a global marketplace. HUBLI: Irregular and non-punctual staff will be dealt with an iron hand if they fail to be in Karnatak University (KUD) on time, thanks to biometrics fingerprints attendance system which has been installed at all the departments. Hundreds of employees work at various sections of 52 departments at KUD. The manual attendance system is said to be a cause for concern among the heads of various departments to keep track of the attendance of their subordinates. Their not being punctual was adding to the problem. The biometric system is expected to instil discipline among the employees so their efficiency is increased. KUD has also installed IP-based CCTV at libraries, administration building, examination building and the main annex to keep a watch on the behaviour of students in libraries and the movement of employees elsewhere. R M Vatnal, chairman of IT department, which designed and implemented the system, told `The Times of India’ that biometric system is being used in important departments like finance, administration and examination. The biometric devices installed at all other departments are yet to be activated. “The biometric system is being run on a trial basis in some departments. It should be in place at all the departments in the next two months,” he added. Instead of signing in the register, the employees will have to put the impression of their fingers on the device to register their attendance daily. The fingerprints of all employees have been uploaded in the system. The fingerprint-specific system also checks registration of proxy attendance. The biometric devices will be operated from the main server located at the IT department. “We will send attendance report of each department to the heads concerned everyday so they can know the regularity/ punctuality of their subordinates,” Vatnal said, and added that the new system has cost KUD around Rs 5 lakh. Technological advancement is the planet over in our day to day life starting from our home to office. Everyone is aware of their home appliance advancement, considering the office, now in this current century there is no need to maintain the pile of ID anymore to maintain the records of workers log. We can store the detail of time constraints even electronically which even saves sere wastage of time. Just a portable device made of fabric can be hung up somewhere and a beep sound easily audible whenever it senses a skin touch. Even it can easily admit the frauds and can alarm the other ones. The device is so small that it can be full or stirred to any place according to our convenience. Technically this device normally plotted with fuzzy logic, when a person is allowed to touch the thin dinghy plate for once this device maps each and every detail of the person’s touch, the various mapping contains the length and size by the side of with some other detail which is necessary for the detection of the individual, it depends on the programming of how it has been plotted.Biometric fingerprint reader has been establish out by an US citizen for office purpose so that everything could be doneautomatically as because time and cash both are valuable like nothing else. This discovery became so very helpful as well as essential that throughout the globe human beings started adapting the same. Taking consideration of India why should India live behind. India adapted this system and very soon throughout the country it gained its popularity for its usefulness. Nowadays it is an established device which is not only used in the office but also it is used at home, where people use it for multiple purposes. PURPOSES :OFFICE : In office, it is generally used to store the details of theattendance of the employees, it also store the details of the break timings of variousemployee. That is, instead of by a huge pile of ID this fiddle with print device does the work. Since details are stored in terms of electronic means therefore it saves the precious time as well as it saves from fraud. These keeps the records everlastingly in the computerso that any time you want to have a look you can always get it. HOME : In home, if someone want to keep a track of log that is, who is coming, when is coming, also in foreign it is used as a security like, in order to enter into the house one needs to scan the fiddle with if the device is plotted by the concerned fiddle with then only the person would be allowed to enter into the place or else it is generally attached with the security alarm so when the device does not find a match it blows the security alarm, thus it prevents the attack of burglars. This rate has been full into adaption by our country also, after all why to stay behind, nowadays few Indian Jails also by this rate as because tracking every employee individually becomes very tedious so they are electronically protected. Thus, this device is proving very beneficial in technological, mechanical and user friendly point of view. Social networking giant Facebook is taking the plunge into using facial recognition-based biometrics in a bid to make it easier for users of the site to tag their photos. In a blog by one of the company’s engineers, Justin Mitchell, it was revealed that every day, people add more than 100 million tags to photos on Facebook. They do this because it’s an easy way to share photos and memories. Mitchell says in his blog that while tags are an essential tool for sharing important moments, many people find tagging photos a chore. Mitchell said that since October, the company has been working to make this process easier. First Facebook added group tagging, so users can type one name and apply it to multiple photos of the same person. Now Facebook is announcing tag suggestions, which will make tagging multiple photos even more convenient. The new systems will use face recognition software – similar to that found in many photo editing tools – to match new photos to other photos a person is tagged in. Facebook then groups similar photos together and, whenever possible, suggests the name of the friend in the photos. Users can disable suggested tags in their Privacy Settings, if so desired. The feature will be debuting tag suggestions to users in the United States over the next few weeks. A new report by Frost & Sullivan has found that biometrics is the fastest emerging technology in the Indian securities and identification market and is finding increased traction in various government and non-government applications such as driving licenses, ePassports, land records, as well as time and attendance. Frost says that biometrics is gradually gaining ground at the expense of conventional methods of identification and security checks such as physical checks, photo IDs, tokens, and passwords. The Indian Biometric Market report finds that the market earned revenues of INR 5.43 billion from the combined sale of biometric readers and cards in 2009 and estimates this to reach INR 52.55 billion in 2015. Owing to India’s large population, identifying oneself in the country is a major hurdle, especially in the rural areas. This has made a solid case for the use of biometrics in the interiors, says Frost. Furthermore, due to a rapidly rising economy, there has been a spurt in the need for safety and security solutions among organizations dealing with private and confidential data. The escalation in security threats has also spawned a need for authenticated physical access to building premises, creating vast opportunities for biometrics companies. Despite the market’s potential, the poor awareness, lack of a unified standard for biometric readers, as well as inadequate expertise and investments are restraining the market. India has not yet started manufacturing biometric devices domestically because the sensors have to be imported. Owing to a surfeit of imports, the market is flooded with low-cost, low-quality devices. As these devices often fail to meet quality standards, customers’ confidence in the technology is fast eroding. The Chitradurga District Hospital has become the first government hospital in the State to install biometric identification machines and eight closed-circuit cameras in various prominent areas of the hospital to enhance its functioning. “Quite often I received complaint from patients that doctors do not visit their wards. Another common complaint of the doctors was that people, mainly men, enter the maternity wards without permission. “To avoid such complaints and to bring in discipline in the functioning of the hospital, these equipment were installed,” said District Surgeon K. Jagadish. He told The Hindu that cameras have been installed in important places, including the maternity ward, post-neonatal unit, corridors and at the entrance of the hospital building. Having set up a computer in his chamber, Dr. Jagadish says that he could monitor the routine activities of the hospital from right inside his office. He said that in the absence of CCTV, he, most of the time, had had to visit each ward to resolve complaints. “I had to spend a considerable time of my administrative hours only for visiting wards to address these small issues. “But now, this problem is solved. Using microphones installed at my desk, I can direct any staff member to resolve the issue. The technology has given me ample time to work on other important aspects of the hospital,” he said. Dr. Jagadish said that being aware of the cameras monitoring them, even the staff members have become active in their duties. About the biometric system, Dr. Jagadish said that thumb impressions of all 365 staff members have been captured in the machine. It has been mandated that all staff should use the machine four times a day during their duty hours. “Once a month, I get the computer extract of the attendance marked in the machine and hand it over to the department concerned for disbursement of salaries,” he said. Dr. Jagadish felt that such system should be adopted in all government hospitals of the State to bring in effective changes in their functioning. Home Minister P. Chidambaram inaugurated the Biometric AttendanceControl System, which is implemented at the home ministry offices located North Block, Jaisalmer House and Lok Nayak Bhawan. This automated attendance system is aimed at ensuring that employees come to work on time. Taking the initiative for ensuring punctuality, Chidambaram arrived at 9 a.m. at the North Block and registered his attendance by placing his finger on the scanner. The proposal for the implementation of the biometric scanners had been put forward a few months ago by Chidambaram himself. This idea was given by him after he started noticing that many officials were not even reporting for work, but their attendance had been found. He had also noticed that people were in the habit of leaving office before the scheduled time. “Under this system, all officials of the ministry will be registering their arrivals in the morning and departure for the day,” said a senior ministry official. According to a home ministry official, any employee who registers three late arrivals in a month will have a cut in her casual leave. The employees are expected to reach office at 9 a.m. sharp, and put their index finger on the scanner, which will identify their fingerprint, flash their employee code and name and register their arrival. They will have to go through the same drill when leaving for the day at 5.30 p.m.
Biometrics comprises methods for uniquely recognizing humans based upon one or more intrinsic physical or behavioral traits. Biometrics Identification is the key word to security. Biometrics technology is now widely accepted worldwide as the only means available for verification / authentication of an individual’s identity – be it fingerprints, hand geometry, face / iris / or voice recognition. Hand geometry along with fingerprints are well established in the arena of Access Control and Time and Attendance, now easily accepted as a sure means of verification or identification and subsequent generation of data for further processing and reporting. 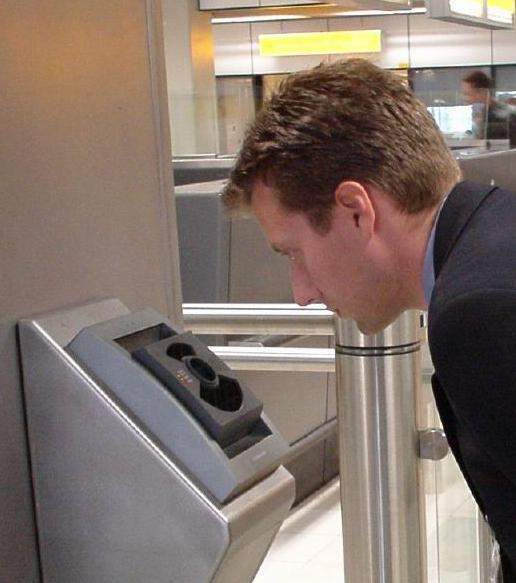 Face and Iris recognition technology is now deeply involved in the more serious business of identifying terrorists and outlaws, assisting in nabbing them whenever spotted by the systems being put in place at airports and other points of entry and exit from a country’s borders. Of course there is no denying the high rate of identifications made using AFIS based fingerprint systems, of criminals and convicts. Voice recognition technology has limited but purposeful uses right now and is being developed and should be freely available soon. These Biometric Technologies are making it difficult for people to falsify or assume other people’s identities, enter areas forbidden to them or “buddy / proxy punch” for a colleague at work. Tremendous opportunities have opened up for executing financial transactions over the internet, doing business or performing simple tasks over LAN / WAN / /INTRANET. All these require a positive authentication of people. Addition of Biometrics will strengthen PKI certification. Withdrawing cash from ATMs can be secured using small low cost fingerprint devices making PIN redundant as also reduce insurance costs. Safe deposit vaults can be made more secure using biometric devices. Medical Insurance and Social welfare schemes are prone to fraud. Biometrics can save the companies and the state millions, using simple application software. Access control systems alone do not meet today’s security requirements. There is a need for a comprehensive solution which would include verification of employee’s / visitor’s ID, surveillance using C.C.T.V. systems with recording facilities, perimeter security using robust electric power fencing which works on the principals of DETER -DETECT, DENY AND DELAY intrusions. To check absenteeism among government school teachers and employees across the state, the education department is going to launch biometric system of attendance in all schools, district education offices and Circle Education offices. A pilot project was launched in 100 government schools of five districts one and a half month ago. Government offices in India were infamous, and continue to remain so. It is the hub of corruption! The case of I P Venkataraman serves an example. He was arrested by Central Bureau of investigation (CBI) for working full-time as a senior official for both India’s federal government and Karnataka state government. He managed both the jobs and was also promoted in them. He attended both the offices irregularly, both situated in the same city. This is symbolic of the work culture in government offices in India. Government officers lack time keeping abilities. Late coming, longer breaks, unnecessary leaves are a part of the daily life of an ordinary civil servant in India. * Government of India works for the development of the physically disabled in a number of ways. Job reservations are made in government offices for the disabled. A face recognition time attendance will enable them to record daily attendance details without any contact with the attendance keeping system. * A working day consists of eight hours. Biometric time attendance will help adhering to this schedule. Automated system ensures correct record keeping of attendance in a government office. Late arrivals, leaves and breaks will be calculated systematically. * The traditional attendance keeping may only require the employee to mark on a piece of paper. Even if the employee is absent, a friend can mark on his behalf and the absentee remains undetected. However, a face recognition time attendance will eliminate this problem. The Ministry of Home Affairs and Atomic Energy Installation has a biometric time attendance installed in its premises. Other central government institutions are also expected to follow this trend. State governments have also installed biometric time attendance system to achieve better results. Gujarat state government resorted to this system to prevent absenteeism amongst teachers in tribal areas. This will eventually reduce drop-out rates in primary schools. Karnataka State Pollution Control Board employed biometric time attendance system to improve punctuality amongst the staff. The need of a government office is different from a commercial office. Similarly, the benefit of a face recognition system in a government office is different from that of a commercial office. It helps in preventing identity fraud. Government offices have more data to hide. Leakage of sensitive information can be reduced with this tool. Besides, a face recognition time attendance will work as a whistleblower in the offices. Government offices in India are desperately in need of an image make-over. A biometric time attendance with face recognition will help in this regard. The growing threat from criminals and fraudsters who use cyber cafes has been getting out of control in many parts of the world, but authorities in India have come up with a unique system which they are looking to trial very soon. The system uses a mixture of biometrics to take thumb prints as users log on, live photographs, and the users name and address records to keep track of who is using workstations, and more importantly, when. The Indian Police recently organized a demonstration of the system to more than 150 cyber cafe owners and while it went down fairly well, there are some concerns about privacy. Many cyber cafe owners are aware that some users will log onto view sites of an adult nature, but it is more the criminals and the fraudsters who are the target of the authorities. A number of cafe owners, however, are concerned about the creeping “big brother is watching” scenario, something which some say has long gone beyond the Indian stage in the United Kingdom. Cyber crime is a growing business around the world but catching the criminals in the act is proving more and more difficult. While this latest move in India has prompted some concerns it seems likely that some kind of compromise will be reached in the end. There are several techniques that can be applied for verifying and confirming a user’s identity. They can be broadly classified as something the user knows, such as a password or PIN; something the user has, such as a smart card or ATM card; and something that’s part of the user, such as a fingerprint or iris. The strongest authentication involves a combination of all three. The technology used for identification of a user based on a physical characteristic, such as a fingerprint, iris, face, voice or handwriting is called Biometrics. It has been more than 15 years since the introduction of commercial fingerprint authentication systems. Yet they are just now gaining broad acceptance. We should not be surprised. Many technologies required several years before the right combination of factors allowed them to become ubiquitous. If one looks back to laptop computers, cell phones, fax machines, pagers, laser printers and countless other everyday devices, one will realize most had long gestation periods. Biometrics is now at the acceptance crossroads. What will propel them into common usage? Who invented the biometric system? The use of biometric technology, which utitilises body characteristics to identify a person, goes back to the ancient civilisations of Egypt and China. However, modern-day biometrics has evolved thanks to the contribution of several minds. Joao De Barros, a European explorer is credited with recording the first known system of fingerprinting in the 14th century. Alphonse Bertillon, a policeman from Paris, studied body mechanics in an effort to identify criminals. In recent years, John Daugman, a physicist, has done pioneering work in developing the biometric iris recognition system. Owing to its accuracy, biometric systems are being used to help nab terrorists. Pakistan recently installed biometric systems at its border to keep a check on cross-border militancy from Afghanistan. Biometric based applications guarantee for resolving numerous security hazards. As a method of preserving of privacy and the security of sensitive information, biometrics has been studied and used for the past few decades. Fingerprint is one of the most widely used biometrics. A number of fingerprint verification approaches have been proposed until now. However, fingerprint images acquired using current fingerprint input devices that have small field of view are from just very limited areas of whole fingertips. Therefore, essential information required to distinguish fingerprints could be missed, or extracted falsely. The limited and somewhat distorted information are detected from them, which might reduce the accuracy of fingerprint verification systems. In the systems that verify the identity of two fingerprints using fingerprint features, it is critical to extract the correct feature information. In order to deal with these problems, compensation of imperfect information can be performed using multiple impressions of enrollee’s fingerprints. We at eSSL believe our solutions are among the best in the industry. A special emphasis of our company’s vision is the utilization of advanced biometric technology to increase the security of our clients’ homes, workplaces, networks and data. The small and medium business environments make up the bulk of the Indian economy and their security is fundamental to the defense of our national financial system. Effective solutions must offer increased security of data, networks and access to facilities while maintaining personal privacy. Examples of human traits used for biometric recognition include fingerprints, speech, face, retina, iris, handwritten signature, hand geometry, and wrist veins. Biometric recognition can be used in identification mode, where the biometric system identifies a person from the entire enrolled population by searching a database for a match. A system also can be used in verification mode, where the biometric system authenticates a person’s claimed identity from his/her previously enrolled pattern. Using biometrics for identifying and authenticating human beings offers some unique advantages. Only biometric authentication bases an identification on an intrinsic part of a human being. Tokens, such as smart cards, magnetic stripe cards, physical keys, and so forth, can be lost, stolen, duplicated, or left at home. Passwords can be forgotten, shared, or observed. While all biometric systems have their own advantages and disadvantages, there are some common characteristics needed to make a biometric system usable. Newer methods, even those with a great deal of scientific support, such as DNA-based genetic matching, sometimes do not hold up in court. Another key aspect is how user-friendly is the system? Most people find it acceptable to have their pictures taken by video cameras or to speak into a microphone. In the United States, using a fingerprint sensor does not seem to be much of a problem. In some other countries, however, there is strong cultural opposition to touching something that has been touched by many other people. While cost is always a concern, most implementers today are sophisticated enough to understand that it is not only the initial cost of the sensor or the matching software that is involved. Often, the life-cycle support cost of providing system administration support and an enrollment operator can overtake the initial cost of the hardware. Also of key importance is accuracy. Some terms that are used to describe the accuracy of biometric systems include false-acceptance rate (percentage of impostors accepted), false-rejection rate (percentage of authorized users rejected), and equal-error rate (when the decision threshold is adjusted so that the false- acceptance rate equals the false-rejection rate). When discussing the accuracy of a biometric system, it is often beneficial to talk about the equal-error rate or at least to consider the false-acceptance rate and false-rejection rate together. For many systems, the threshold can be adjusted to ensure that virtually no impostors will be accepted. Unfortunately, this often means an unreasonably high number of authorized users will be rejected. Hand geometry, fingerprint, voice, signature, face geometry and iris or retinal scans are all in use today. Each different type has its advantages and disadvantages, making each suitable for different types of applications. Fingerprint and hand geometry are the most commonly usedtypes for time and attendance applications. No. 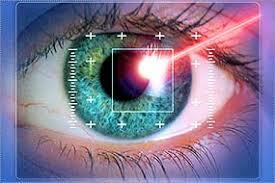 Biometric identification and verification systems have been in use for over 25 years, with no reported health hazards. The methods used for commercial biometric identification andverification are non-invasive and pose no health risks. Biometric identification compares a biometric “signature” to all the records stored in a database to determine if there is a match. Because it requires comparing each existing record in the database against the new biometric characteristic, it can be slow and is usually not suitable for real-time applications such asaccess control or time and attendance. You’ll find biometric identification used most frequently in such applications as law enforcement — for instance, the comparison of a fingerprint from a crime scene to a database of prints collected from convicted criminals. Biometric verification compares a newly-scanned biometric characteristic to a measurement previously collected from that same person to verify that individual’s identity.For instance, when an employee is hired, that employee’s fingerprint will be enrolled into the company’s biometric time and attendance system. When that employee attempts to clock in the next day, her newly-scanned fingerprint will be compared to the fingerprint scan collected when she was enrolled into the system. If there is a match, the employee’s punch will be recorded. Because of this one-to-one comparison, biometric verification systems are generally much faster than biometric identification systems. Most commercial applications of biometrics for time and attendance or access control use biometric verification. What is a “false acceptance” (FAR) ? What is a “false reject”(FRR)? You will often hear biometric system vendors touting their system’s low false-acceptance or false-reject rate. These refer to how accurate and reliable the system is in correctly identifying people. For time and attendance systems, a false acceptance occurs when the system registers a punch from an employee even when someone else’s finger or hand (or an artificial finger or hand) is offered for validation. A false reject happens when the system refuses to accept theemployee’s own fingerprint or hand as valid. Biometric systems all strive to have rates of false acceptances and false rejects as low as possible. False acceptances may allow instances of buddy punching to “slip through the cracks.” False rejects can lead to employee frustration when they aren’t able to clock in and out successfully using their own hands or fingerprints. When an employee is first enrolled in a fingerprint-based biometric time and attendance system, the software records a template of the employee’s fingerprint and associates that template with the employee’s ID number. This template measures the relationship betweenvarious points in the fingerprint. Each time the employee attempts to clock in or out, the time and attendance software verifies that the newly scanned fingerprint matches the template originally stored for that ID number. If there is a match, the punch is recorded. Occasionally, employees will have privacy concerns about having their fingerprint scanned. The fingerprint templates used for biometric verification such as with ATRx Secure PunchIn are stored in encrypted format and cannot be used to re-create anyone’s fingerprint. Additionally, because biometric verification uses relatively few points of comparison, the templates used in commercial time and attendance systems are useless without another fingerprint with which to compare them. They cannot be used for biometric identification. Fingerprint biometric readers are generally lower cost and are often used for entry-level systems such as Acroprint’s ATRx Secure PunchIn. They represent an easy and affordable way for businesses to get started using biometric-enabled time and attendance systems. Depending on the system, fingerprint-based biometric systems can have a false-acceptance rate that is lower than other technologies. When an employee is first enrolled in a hand-geometry-based biometric time and attendance system, the hand reader records a 3-D image of the hand. The image is stored as a templateassociated with that employee’s ID number. Each time the employee attempts to clock in or out, the hand reader verifies that the newly scanned hand image matches the template originally stored for that employee ID number. Ifthere is a match, the punch is recorded. The scanners used by Acroprint’s ATRx Biometric 1000 system are highly accurate, taking 90 different measurements of the hand. The scanners also update the template every time the employee’s hand is successfully scanned. This means that the system can accommodate changes such as natural aging, weight gain, weight loss and other normal variations in the hand geometry. Artificial fingernails and small adhesive bandages are not usually a problem. If worn consistently, jewelry such as wedding bands will likewise normally not affect the accuracy of the scan. Some employees have hygiene concerns about placing their hand on the reader. Generally speaking, there is no greater health risk involved in using the hand reader than there would be in using a doorknob that has been touched by other people, handling money, or shaking hands. When necessary, the HandPunch reader can be easily cleaned with glass cleaner and a soft cloth. Hand geometry has been in use longer than any other biometric technology, starting with the use of 2-dimensional devices in the 1970s. HandPunch systems from such as the ATRx Biometric 1000 use an advanced 3-dimensional hand reader for highly accurate results. In most cases, hand geometry systems will have a lower false reject rate than fingerprint systems. This resource has been brought to you by enterprise Software Solutions lab (eSSL) headquarters in Bangalore, India, eSSL is a leading global manufacturer and distributor of time and attendance products with thousands of dealers and distributors across India and products that are exported to many foreign countries. Buddy punching—not the violent connotation, but equally malicious and punishable under most corporate guidelines on proper employee behavior—is the practice of cheating time clocks by punching in the attendance card or swiping the ID of a co-worker in his absence. Attendance monitoring used to mean endless paperwork, sifting though documents and manual computation. That has changed with the onslaught of biometric fingerprint time clocks that have high-tech applications but simple implementation. There are several brands in the market, and they offer basically the same features, although some may be a bit more sophisticated (they allow several program schemes adaptable per employee specifications). A device can be programmed to quickly identify special work-schedule arrangements made for certain employees, for example. A biometric fingerprint time clock generally is composed of three major components that make it work: scanner (on which one places a finger for the print to be scanned); software (that transforms the scanned information into digital format); and database (where authorized fingerprints are stored in digital format). Biometric fingerprint time clocks may be installed on each side of a door to facilitate close monitoring of employee ins and outs. The biometric clock is wired into the door latch, allowing it to mechanically open and shut it. But if it’s just attendance monitoring you desire, one unit for your whole office may suffice. A device is capable of storing large amounts of data. Once installed, you will have to get each employee to register a fingerprint. You may need to have your IT (information technology) employees help you with this. They will create a master list of names and their corresponding fingerprints. Additional programming is needed for flexi-time employees who do not subscribe to the general work-schedule hours. After completing the database, the device ready. Employees will only need to put a finger on the scanning interface of the time clock. The print will be processed, and if it matches an image stored in the database, the door will open mechanically. If not, access will be denied; there’s no prying open the door or getting around the system.